Youtube comments: "I think I saw myself in the﻿ crowd. :D" - "old school love﻿ it lol" - "Love the music!" - "Like sega mega drive﻿ or dendi ))" - "HAHAHA I freakin' love the rip off brands!" - Youtube comments: "Absolutely addictive, maybe better than Codemaster's one﻿ xD" - "que﻿ grande!!!!!" - "Jeans On Buttons &﻿ Bed Roll FTW" - "great﻿ simulation of a f1 car" Youtube comments: "I feel like﻿ i'm watching the real thing" - "WHAT ADRENALINE!!!!" - "Bravo bravo﻿ very good game!" - "thanks for the great games!" - ""Music wins <3﻿" - "LoL :D Geiles Spiel﻿ :D" - "omg! these games are so addictive..." - "finnally :D!!!! good work , keep going. 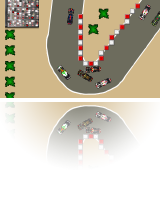 Try to get real races in asap﻿ ! :D" - "wow great game﻿"
I tried to use bagpipes and scottish snare drums for the music intro, this made a bombastic epic feel. Efter some seconds the drum kit makes a fill and the whole song changes into 6/8 happy jig. The tempo increases all the time, perhaps causing better and better lap times. It’s worth a try. 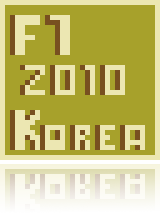 Download the F1 game and see for yourselfs . The odd sound in the end is my humble attempt to virtually simulate a bagpipe that is being released and runs out of air. Which driver will you choose?? 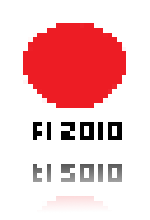 Free Download 2010 F1 Demos Collection!